(Click here for Grading Specs;) Unfinished flooring refers to flooring that requires sanding and finishing on site after installation is complete. Somerset Hardwood flooring is typically 3/4" in thickness, tongue and grooved. Somerset Hardwood floors must be stapled or nailed over an approved plywood sub-floor and must be installed on or above grade (1st floor or second floor, no basement). (Free shipping most orders. No Tax! Only $99 Shipping for Small orders. )Please contact for truckload or Pallet pricing. • Natural Color Changes: Just as your own skin “tans” with exposure to sunlight, unfinished wood flooring will undergo color changes with exposure to both artificial and natural light. Some color change may be dramatic — exotic species are especially prone to color change. Brazilian Cherry and Tiger Wood, for example, will become deeper and more red over time and with exposure to light. You should occasionally move area rugs and furniture that block light and may give the appearance of discoloration underneath. • Natural Movement: Wood will expand and contract with seasonal moisture level changes. This may give the appearance of gaps or cracks in your floor — this is not a product defect. The wider the flooring, the more each individual piece will expand or contract with changes in moisture content. This movement can be minimized with proper use of HVAC including humidity control. Engineered flooring is less prone to natural movement, because it is “engineered” for dimensional stability. 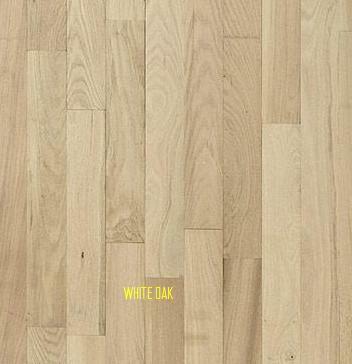 • Natural Characteristics: Naturally occurring wood characteristics such as mineral streaks, knots, variations in grain and color are part of every hardwood floor. These characteristics are what make each floor unique. INSTALLED FLOOR WILL VARY FROM SAMPLES OR PICTURES SHOWN. Somerset unfinished Hardwood Flooring is an environmentally sound choice because trees are a renewable resource. We support the Sustainable Forestry Initiative, requiring us to be responsible stewards of the land by meeting independently established and monitored objectives on an ongoing basis. In fact, we feel so strongly about this issue that we are one of only a few manufacturers to have a full time forestry staff. 1st grade unfinished flooring refers to the cleanest grade of flooring, containing the least amount of color variation and no knots. Board lengths can vary from 12" to 78" but generally have a longer average length, usually around 3' long. #1 common 2nd grade unfinished flooring refers to flooring that has more color variation and can contain some small pin knots. 2nd grade also allows for some sticker stain (stain left as a result of stacking boards during the drying process). Board lengths can vary from 12" to 78" but generally have a medium average length of 2.5' long. 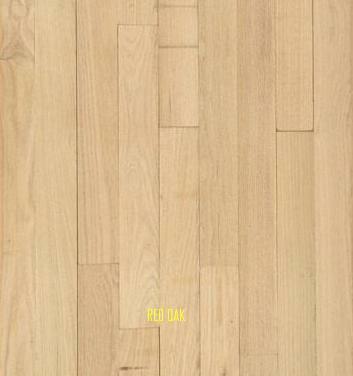 3rd Grade unfinished flooring can be referred to as #2 Common unfinished and generally describes flooring with a full range of color which include mineral streaks, sticker stain (stain left as a result of stacking boards during the drying process), and solid knots of varying size. Board lengths can vary from 12" to 78" but have a shorter average length, usually around 2' in length. *Manufacturers may have varying grade criteria. Generally, unfinished flooring must meet minimum grade requirements but please be aware of differing specifications.